Whether you are a hobbyist or actually looking to make some money with your underground finds, there is no denying that you need a good metal detector if you are going to be successful. Now, finding the ideal metal detector can be so tricky because there are a number of factors to consider. You will require a metal detector that is powerful, works well in a number of different environments, and is able to reliably tell you where items are buried. As you can see, there are quite a few boxes that you have to tick. To cut down on the work that you have to do, we have taken it upon ourselves to find the best product for you. In this guide, you will find a variety of reviews that will help you narrow down the perfect option. You will also be able to find a number of tips to make this choosing process simpler. 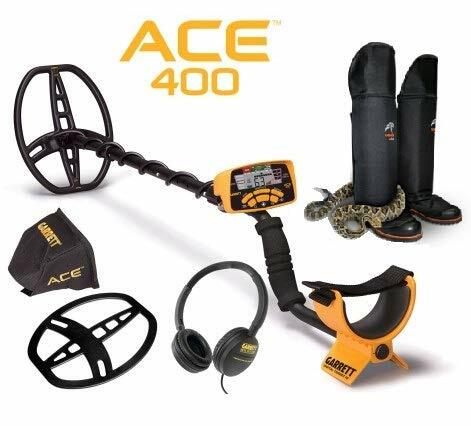 If you are serious about metal detecting then the Ace 400 is probably the way to go. This is largely because it has so many different features to offer, starting with five search modes including – jewelry, custom, coins, relic, and zero discrimination mode. Between these, you should be able to pinpoint what you need fairly well. That’s not all, though, as the Digital Target ID, makes it easier for you to identify what the detector is picking up. Since this detector boasts a higher frequency – 10 kHz – you will also notice that it is more sensitive and thus, better at picking out buried objects. Unfortunately, this increased sensitivity can backfire as the detector may be more prone to inaccurate readings. Speaking of the frequency, though, there is a Frequency Adjust feature that allows you to make changes to the settings so that the detector’s performance will not be impeded by other nearby devices. Not to mention, if you are looking for coins, there is a depth adjustment feature that lets you detect coins buried at different levels. This detector also has a pinpointing feature which allows you to narrow in on your target once it has been detected so that there is less digging for you to do. This National Geographic metal detector is a good choice for kids or for anyone looking for a starter product. 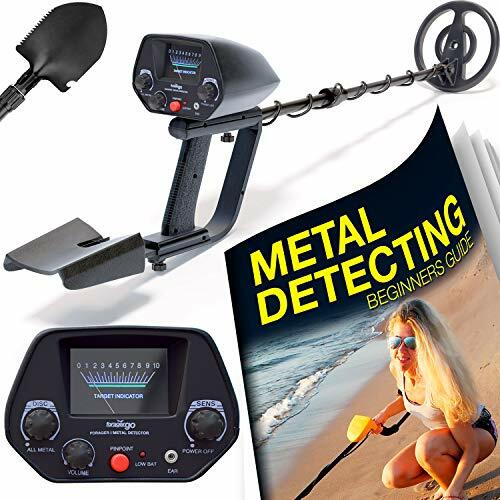 While this might be a basic metal detector, you will still find that it has all of the features and requirements that you will need to dig up buried metallic items. To start with, this product has 4 sensitivity modes – this ensures that the detector is capable of picking up items that are buried a bit deeper in the ground. Now, while this feature does work with most items, if the article is very small and buried deep, then the detector may not be capable of locating it. This metal detector does come, with 3 detection modes, however. With the help of this, you can easily filter out items that will be of no value. This model is also equipped with audio alert detection which allows you to distinguish between the materials found by detecting the difference in sound. The PRO series detector is equipped with a pinpoint feature as well, which helps you to narrow down a precise location of your buried treasure. Last but certainly not least, this is an incredibly simple detector to use. All the settings and controls are intuitive and the LED screen is easy to read. Regardless of your level of experience, you will find that this metal detector is incredibly simple to set up. You will have it up and running within a few minutes. Unfortunately, since it is meant for both novices and experienced hunters, there is a bit of a learning curve associated with this detector. So, if you don’t know what you are doing, it may take you some time to figure out the ropes. The good news, though, is that this detector offers up plenty of features for you. To start with, there is the ground control feature. This works to tune out any false signals generated by environments with saltwater or minerals. Then there is the customizable targeting feature. This allows you to specify whether you want the detector to locate steel, iron, silver, or gold. You can also set it up so that it detects all metals, heedless of the type. If you don’t want to rely on the information on the LED screen, you can use the Tone Mode so that the detector lets out a different noise, depending on what it is detecting. The Target Mode lets you pinpoint the exact location of the buried items, ensuring that you get to your treasure faster. 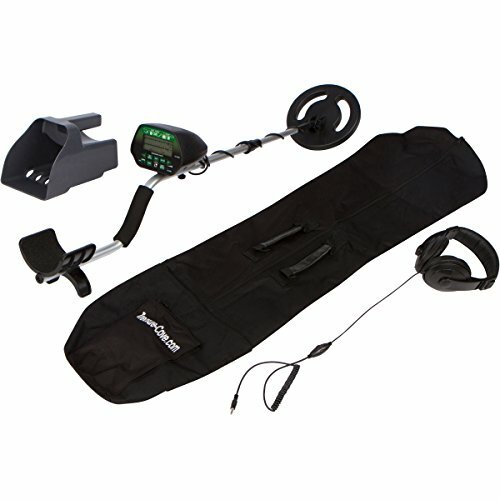 Last but not least, you can be quite sure that this a durable metal detector as it comes with a ten-year warranty. 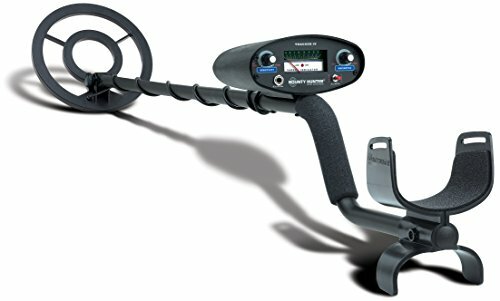 This metal detector is well-suited to anyone just starting out with their hobby or if you are looking for a good quality child’s metal detector. This means that it is a rather elementary detector but still has all of the features that you need, including some extras such as the pinpoint feature. So, narrowing in on your target becomes a lot easier to do with this particular model. This is actually quite a sensitive detector and can detect most metal objects that are buried up to six inches in the ground. It is also equipped with discrimination function which lets you tune into the type of metal that you want to find. This cuts down the risk of you ending up with junk during your search. As an added bonus, the detector has a waterproof coil which allows you to use it in various environments. The only other real downside with this detector is that the controls and settings are a little confusing. So, you are going to have to carefully read the instructions and get some practice to really get used to working the detector. If you are only just getting started with your metal detecting hobby, you will find that this is a great detector to begin with. Due to the simple-to-use, minimal number of controls, you will find that it takes you only a short while to figure out how to use this detector. This doesn’t mean, however, that this model is lacking in any features. It has all the elements that you need to find a variety of different metal items. For instance, this model is equipped with a preset ground balance that ensures that the machine’s readings will not be disrupted by the surrounding mineral content. You can also change the settings so that the metal detector is better equipped to find what you are looking for. This allows you to choose between the All Metal mode and Discrimination mode. So, you can decide to focus on just one type of metal or simply look for them all. The built-in speaker along with the Two-tone audio discrimination means that you can identify and distinguish the materials that are being detected simply by sound. There is no denying that this is a hardy metal detector capable of searching for metals in all kinds of environments. Thanks to the waterproof coil, this includes damp areas as well. The main downside with this detector is that since it is largely meant for beginners, so you can expect some inconsistencies and inaccuracies with your results. In this section, you will learn about all the details, features, and functions so you can choose the best metal detector for you. The main features in this type of metal detector are two coils of wire. One of these is in the base of the detector and the other is in the control box. Both the wires are connected to an oscillator which is able to generate thousands of current pulses each second. When these pulses travel through the coil wires, they produce a frequency. However, each coil produces a different frequency. When the base passes over a metal item, this frequency is interrupted which is how the machine is alerted to its presence. VLF technology is what you will find in most kinds of detectors on the market. It is based on two coils – one outer and one inner. The outer coil produces a strong electric current in two different directions. Then, depending on how many times the current changes direction, a frequency is established. When the current moves over a metallic target, this frequency is disrupted, thus sending a signal to the machine. The inner coil acts as a receiver and works to magnify the frequencies picked up from the targets in the ground. 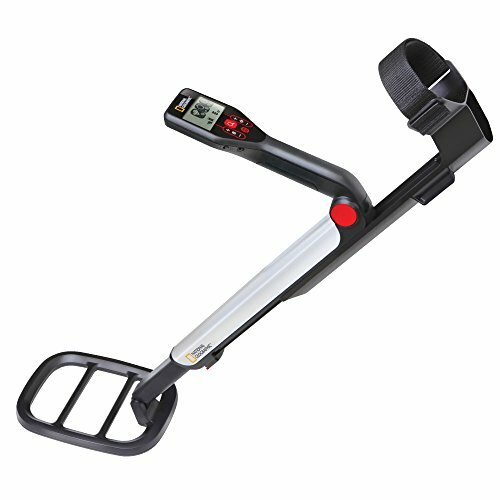 This type of metal detector is very reliable, and as a result, it’s typically more expensive as well. However, the main advantage of these detectors is that they are accurate and can be used in highly mineralized areas. PI detectors utilize just one coil which behaves like a transmitter and a receiver. The coil sends pulses of electricity into the ground, creating a magnetic field. This field is reversed whenever the coil moves over a metallic object in the ground. This is the signal detected by the machine. Now, let’s consider all the features that a good metal detector should have. One of the first things that you will need to look at with any metal detector is the frequency at which it operates. As far as metal detectors go, the frequency refers to the number of waves sent out and received by the device each second. It is measured in kilohertz. Now, the frequency that you need will depend on the types of buried items you are looking for. If you want to find highly conductive metals like silver, then a low frequency will be best. However, these frequencies typically don’t work well for smaller items. If you are looking for low conductivity materials such as gold, then a high frequency is best. Unfortunately, these kinds of frequencies don’t work well with highly mineralized soil. Now, most people misunderstand what the sensitivity of a metal detector actually relates to. Nonetheless, it is important for you to have a machine where the sensitivity can be changed. Sensitivity refers to the amplification of weak sounds emitted by metallic objects. So, if you increase the sensitivity on your machine, you should be able to hear non-ferrous or mineralized soil. On the other hand, when you decrease the sensitivity, you can only hear sounds emitted by stronger metals. High sensitivity works in areas with no mineralized soil and very little trash. However, you will need a lower sensitivity in areas where there are a lot of signals to be picked up. Believe it or not, the detector’s coil size plays a large role in the type of items that you pick up. Typically, a smaller coil is best for locating smaller items. So, if this is what you are after, then you may want to stick with a coil that is between 6 and 8 inches in diameter. On the other hand, with larger items, you are better off with a coil that is 10-inches or larger. If you don’t have any particular sized items in mind, a 7 to 9-inch coil should work just fine. If you are searching in an area that has a lot of trash, you might want to opt for a smaller coil. This will prevent you from picking up too many false readings. You will require a detector that has various modes for you to choose from. Now, the precise modes will depend on the brand and the model of the machine. However, you will usually come across an all-metal mode and various degrees of discrimination modes. These modes are useful for either looking for all buried metals or customizing your detector, depending on the materials that you are looking for. There are some detectors that take this a step further with Target ID features. Here, the machine further narrows down the type of material so that you can get a better idea of what the device is detecting. This lets you know whether it is worth it for you to dig up the item or not. If you prefer to listen to tones rather than look at your screen, you should consider a detector that has audio and tone ID features. Here, the frequency and pitch of the sound will differ, depending on what the machine is picking up. This sound is typically transmitted through a pair of earphones. Now, while you may not think that it is all that important, it is best to get a metal detector with some kind of power indicator. This will alert you to your battery level at all times. Why is this feature imperative? Well, the power level of your metal detector is often directly related to its performance. So, when the battery is low, there is a good chance that the readings will be affected. Unless you want to be led on a wild goose chase, it is a good idea to keep an eye on your battery. Weight: remember, weight becomes a major factor if you are planning to use your machine for a long period of time. If you don’t want to tire out easily, look for a detector that is lightweight and can be carried around with very little hassle. Waterproof features: if you will be treasure hunting in wet weather or in a region that has water, then it is best to look out for a waterproof coil as well as a control box with waterproof housing. This will ensure that the important parts are kept safe at all times. Pinpoint Feature: in case you’re searching for a very specific location where buried items may be, you should look for a pinpoint feature on your detector. This will let you know exactly where you should dig. So, there you have it – all the information you need to find a metal detector that is perfect for you. If you are looking for a budget metal detector that still provides an impressive performance, then you should stick with the NHI metal detector. For those that want a beginner model, you will find that the Bounty Hunter metal detector and the National Geographic detector tick this box perfectly. On the other hand, if you want a powerful machine for a more experienced user, the Garrett Ace metal detector is best. If you prefer a fully-equipped metal detector that will last you a long time, then the Treasure Cove detector will work well. With these guidelines, you simply can’t go wrong with your search.